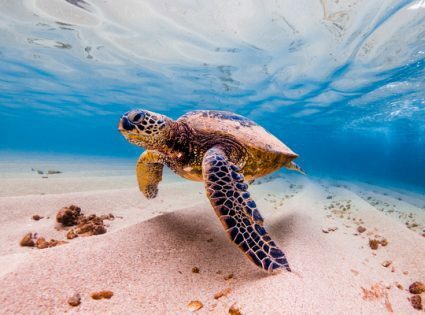 You can scour travel books and websites for advice on exciting Hawaii vacations, but nothing beats finding the small little-hidden gems of Hawaii. For me, it is these little adventures that make a Hawaii getaway unique, unforgettable and special. You won’t have to shell out huge sums of money to have a taste of the “real” Hawaii. Instead of looking at it in a guidebook, you will see the beautiful islands of which 1.36 million people call home. 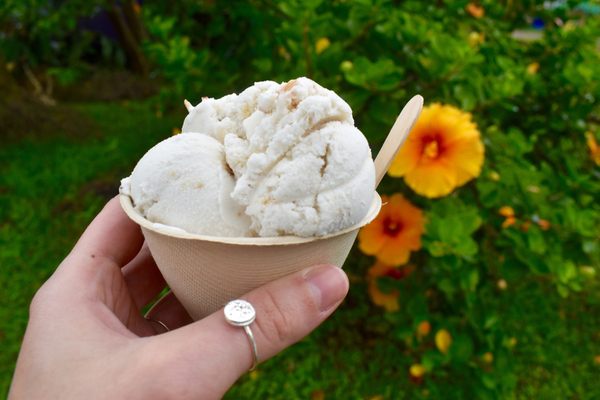 Homemade Coconut ice-cream along the Road to Hana in Maui, Hawaii. I’ve never been a fan of coconuts unless they came in the form of a pina colada or Coconut Glen’s Ice Cream. Hands down, it’s one of the best ice cream products I’ve ever had the pleasure of trying. Made from fresh coconuts, his ice cream and candy products are all 100% natural, organic and vegan! Requiring a bit of a trip to Mile 27 ½ Hana Highway in Maui, you’ll find a humble shack. There, you can enjoy a scoop of delicious ice cream using a coconut spoon made from coconut husk. Also, out of a bowl made from coconut shells beneath the beautiful Hawaiian sun. If you’re feeling particularly adventurous, you should try the Chili Chocolate Chipotle. 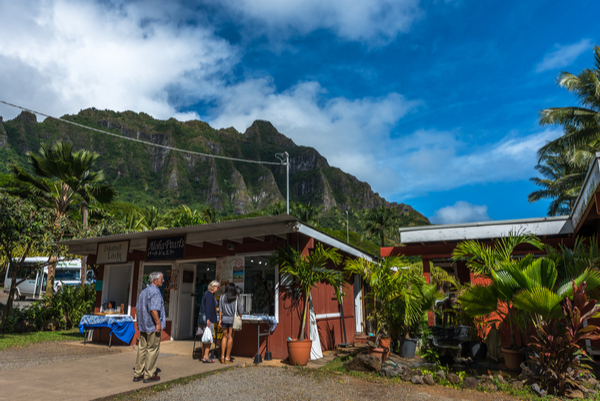 A little off the beaten path, as many would say, but definitely worth the trek is Tropical Farms on the eastern coast of Oahu. Get yourself on this one-hour tour. Led by an in-house comedian named “The Chief”, you’ll get a crash course about Hawaiian culture. On this short, but compact tour, you’ll get a chance to see the entire farm. Learn how to start a fire (without a lighter) and how to open a coconut. Also, enjoy a boat ride on a fishpond. You’ll get a mini history lesson and a tour of fruit trees. The best part of this entire tour: hands down, the chance to try fresh guava. Also, star-fruits right off the trees themselves! 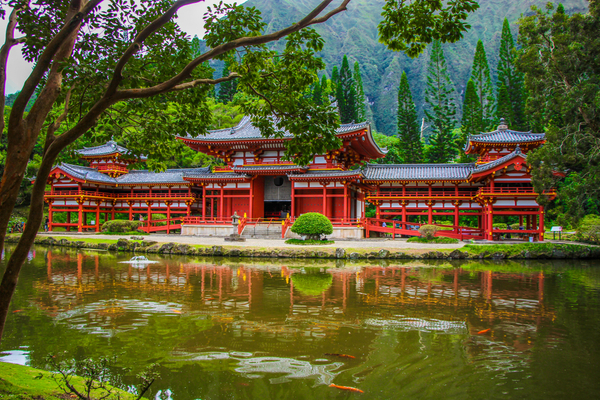 Built to commemorate the 100th anniversary of the first Japanese immigrants to Hawaii, the Byodo-In Temple is a replica of the temple in Uji, Japan. As a non-denominational Buddhist temple, it is the perfect place for any visitor to come and pray. Also, meditate or just enjoy the natural grounds on which this temple is built. Surrounded by large koi ponds and home to peacocks, black sans, and kois. The Byodo-In Temple boasts serene meditation niches for those looking for a retreat away from the hustle and bustle of Waikiki. Against the backdrop of the Ko’olau Mountains, I can’t think of a more beautiful or peaceful place to meditate and reflect. And I mean this literally. About 45 minutes off the Southern coast of Lanai are underwater Cathedrals. 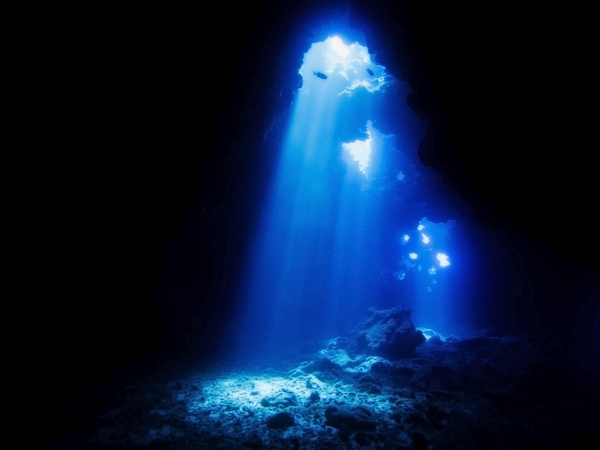 Cathedrals that make for amazing diving sites (please keep in mind, these sites are much more suited for intermediate and advanced divers). There are two Cathedrals that are of interest here. The first includes a 100-foot long lava tube that’s about two stories in height. The second (at a depth of about 15-65 feet) is home to an abundance of marine life. It also features visibility of up to 100 feet. Of all the marvels and beauty of the nature above the world, it is these underwater majestic adventures that amaze me the most. Untouched by human technology and free of industrial development, I think it’s an understatement to say that words cannot describe the beauty that lies beneath. Lanai, Hawaii. Garden of the Gods. Dirt road and rock. 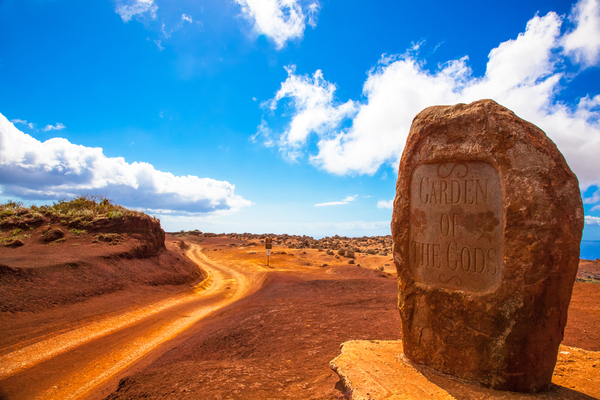 Otherwise known as Keahiakawelo, it is a rock garden located about 7 miles from Lanai City. Please note that due to dirt roads, only 4-wheel drive vehicles are recommended for this trek. Littered with rocks (to all my geology buffs out there, excuse my colloquialism) of all shapes and sizes, the landscape void of any vegetation looks as if it recently rained of rocks. There are a number of legends that have been constructed to tell the tale of how these rocks got here, but one thing is clear: the combination of crusted lava surface and eerie rock formations make this site a red-orange geological gem! Now all of these little gems that I’ve suggested are all a bit off the beaten path so make sure you’re prepared for the journey (with plenty of gas, comfortable walking shoes, and ample water). But I promise you this much, that your journey to these hidden pockets in Hawaii will not be a waste of your time. Stay tuned for Part 2 of Hidden Hawaiian Gems!